Hundreds of programs and classes available in Dance, Music, Fine Art, and Drama. All facilitated by University educated professionals in a state off the art facility. 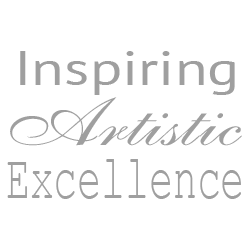 Thank you for voting The Oakville Academy for the Arts year after year as #1 Consumers’ Choice. Prime Minister’s Award of Excellence for Early Childhood Education. Voted The Oakville Beaver Readers’ Choice for many of our programs and classes. Classes offered for Vocal, Theory, an a wide variety of Instruments for young children to adults. Beginner to Advanced. From ages 2 to Adult, Beginner to Advanced Levels in Jazz, Tap, Ballet, Hip Hop, Lyrical, Contemporary and Acro. Come sing, dance and act with us! From drawing to painting to sculpture and everything in between, no technique is left out of our thorough award winning programs. Our Campers had so much fun last week at this years March Break Camp, Princess Camp, and Toddler Camp! Follow Us! We are constantly sharing what’s happening here at The Oakville Academy for the Arts. Host a fun filled Birthday Party with us! Choose between a Princess, Hip Hop, Musical Theatre, or Art Party. We are very thankful we found a studio that focuses on nurturing the development of the whole child socially, emotionally, and artistically. Seven years after that first ballet class, we have now had the privilege of seeing our children perform with self-confidence and pride at numerous dance recitals, music recitals, and even dance competitions each time with a beaming instructor standing right beside them. We can't think of a better environment in which to develop skills and friendships that will benefit them and bring them joy for many years to come.